For those who have not read Tum Teav in Khmer, there is an English translation by a American. It is a very beautiful translation. I read it and loved it. Tum Teav written in the 19th century based on a true story. 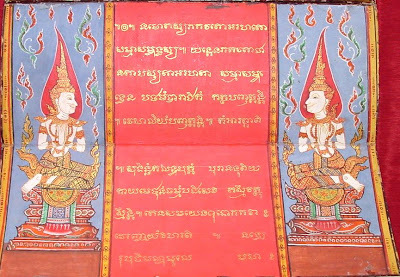 It is considered one of the earliest written Khmer classical literature. It comes in the middle of Khmer transition from oral to written and classic to contemporary of today. These video are from a group of traditional selepak (artist) living in Kampuchea-Krom. Despite the restrictive environment for Khmer culture to thrive in Vietnam, we still managed. This is because we love our identity as Khmer. Khmer Surin Music Video are one of the most popular music among many Cambodian youth today. It has really open their eyes to the rich and vast culture of Cambodian people. It has also been outlet for many many Khmer Surin youth to tell the other Cambodians and the rest of the world that they exist. I came across this website that claims to have 18th-19th century traditional Thai painting which the owner bought 30 years ago from Thailand. These manuscript now sell at over $9,000. I was really amazed by the painting, its very characteristic of the Thai paintings I saw before, very curve and beautiful line. I saw some Khmer painting before in Vietnam, and so I thought it must have been influence by Thai painting that is why they look so alike. Upon further curiosity and investigation, I discovered that these paintings might have come from the same source or techniques. Perhaps these paintings are fake. But if they are real, then we Khmer do have painting with our collections of skills to include with architecture, sculpture and carvings. 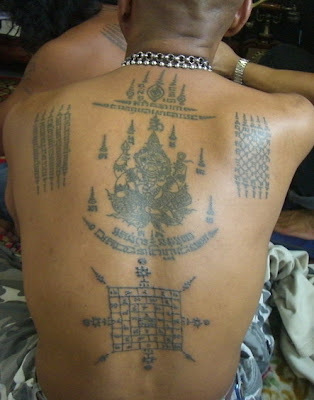 Maybe there is another explanation why these Thai painting are accompanied by Khmer scripts. These are religious and Buddhist text, perhaps Thailand import Theravada Buddhism from Cambodia and felt it needed to preserve the original story in the original text. But thinking over again I find this ridiculous, The Thai neighbors don't speak Khmer so why would they write in Khmer text? So i this leave to the conclusion that these were in fact well-preserved Khmer Buddhist manuscripts with Khmer arts. Not Thai, just like many sculptors and stone arts that have been sole in Thailand and passed off as Thai arts, this is another example of foreign people who don't know our culture and accepting anything they bought as facts per say of the seller. 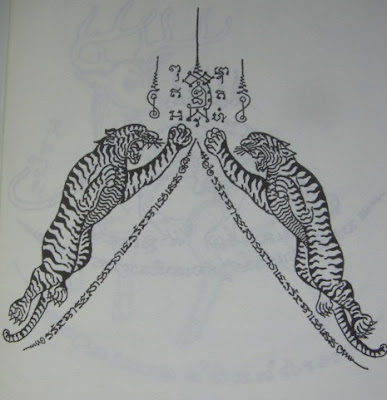 Because the author of this maybe Khmer, I will include these manuscript under Khmer arts. For all audience, you guys have to make your own judgment. 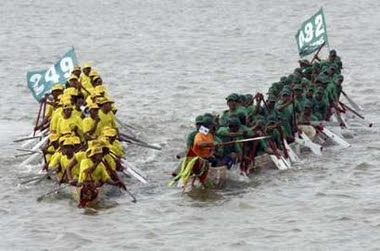 The sport was created to celebrate the victory over Angkor rivals, the Chams in a water-based battle. The actual battle probably took place on the Tonle Sap river. Chapei is a unique Cambodian art which a master of sings stories of morality, goodness and virtue. In traditional Khmer times these artist travel around the country and sing their messages. They are very poetic and subjects ranges from religion and morality to nature and philosophy. 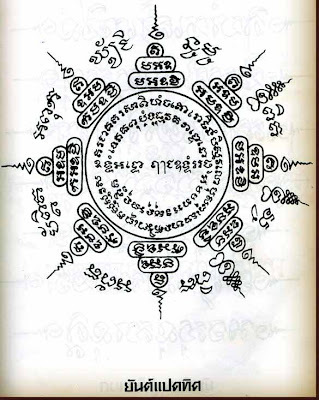 In the 19th century Cambodian produced a renown Chapei artist and poet name Krom Ngoi. His fame is renown that he is liked and summon both by Khmer and Thai court to sing for the king. Funan, as called by Chinese is probably derived from the Khmer word Phnom. Nokor Phnom is ancient civilization that pre-dates and is a predecessor to the Angkor civilization. It stretches all the way from Mekong Delta of South Vietnam (Kampuchea-Krom) to cover all modern day Cambodia and Thailand. I want to promote Khmer art. Art that is not already mainstream and commercialized in Cambodia and remains unaffected. Most people may never heard of Khmer wrestling and this youtube will be great introduction. I cannot find an earlier video of Khmer elders doing demonstration so coming across this youtube video is next to the best thing. I really like funny the dance they do in the beginning. It is what differentiate Khmer art from other nation, except for Thailand. Every Thai demonstration, Muay Boran, Muay Chaiya etc. seems to incorporate this weird dance. So this is something our country shares. Don't know when it start. This is a Thai boxing stance. It is very similar if not the same to their Cambodian counterpart. Usually this stance is not in a fight but a display before the bout. Most likely the rhythm tapping stance of boxing is derived from this form which we see before a fight in Thwai Kru or Wai Kru dances. 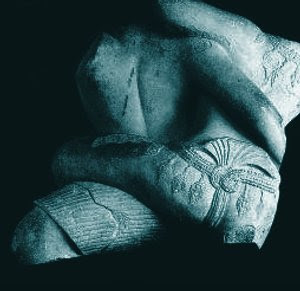 This photo look very similar to the ancient carving below. 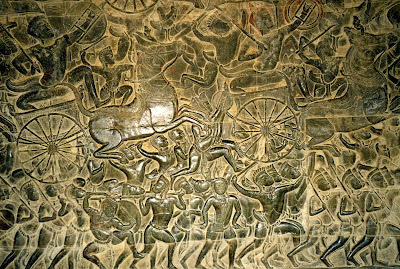 Carving of Ancient Khmer Martial arts. The stance today still resembles very much that of ancient time with the cool leg stance that look a lot like the thwai kru or wai kru dance in modern boxing. 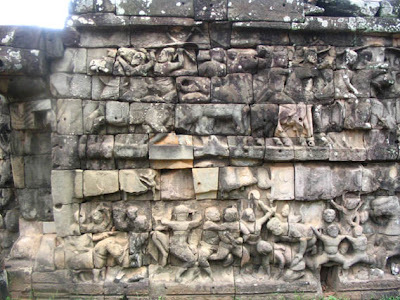 The carving shows a variety of different arts practiced by the ancient Khmer. Here we see ancient form of kbach boran and wrestling moves. This is probably a bout before the king to choose a warrior commander. note: Though they mean the same, Thwai Kru and Wai Kru are two different word. Thwai Kru is Khmer for honoring the teacher and Wai Kru is Thai for honoring the teacher. 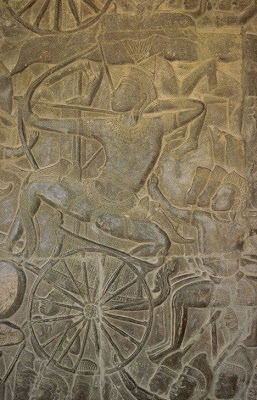 Mounted warriors of Angkor on the battlefield drawing out his arrow to shoot an opponent. This is probably a commander or a prince. A King would be mounted on an elephant. This is from a the sak-yant.com website. Tattoo by Thai archarn. Most of these sak today are practiced mainly in Thailand and it is increasing hard to find Khmer masters in Cambodia. These tattoo are revered for their magical charm that is suppose to protect a warrior or a soldier. 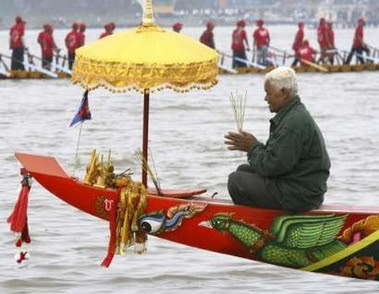 Because of this reverence the art has remain mostly unchanged for centuries with original Khmer scipts still being used. The best place to find Khmer art outside of Cambodia is Thailand. From Sak to magical charms, and sculptors (unfortunately sometimes these are looted national treasures). Thai also have many Khmer temples such as Phimai and they are very beautiful. Though Thailand does not like to admit it, it shares and borrow many cultural influences from Khmer.